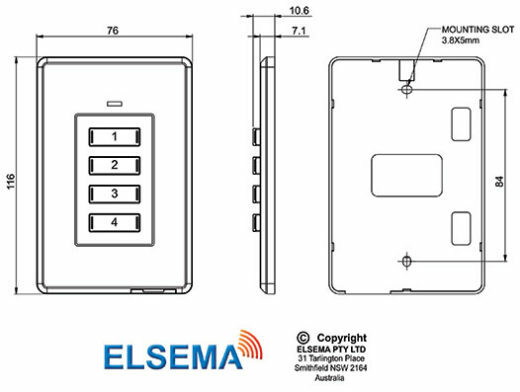 The wireless wall remote can be mounted on the standard single-gang electrical wall box or directly on to the wall. 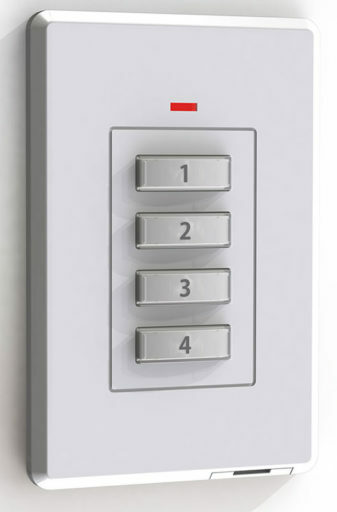 It can wirelessly control lights, automatic gates and garage doors. It transmits a wireless signal to the Penta receiver which switches relays to turn the device On and Off. No need to run wires from the wall remote to the lights. Just mount the wall remote on the wall and connect Penta receiver to the light. Modern design and ultra-thin profile. 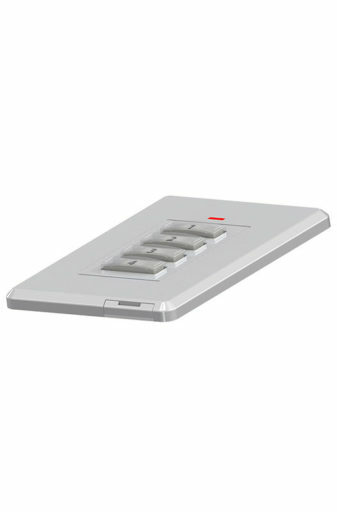 This wireless wall remote uses PentaFOB® technology.